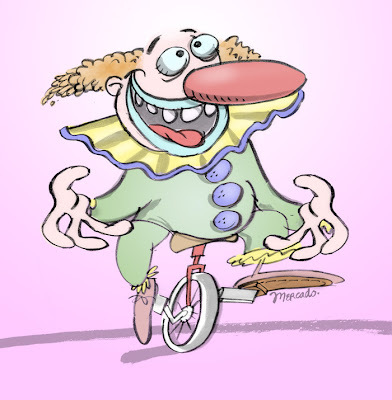 Here’s a clown that is not clumsy at all! I’ve heard riding a unicycle is a really tough thing to do. It looks like he’s having a fun time doing it.